Plantronics are bolstering their RIG headset lineup with several new entries in the form of the RIG 300 Series and the RIG 400 HC Pro. 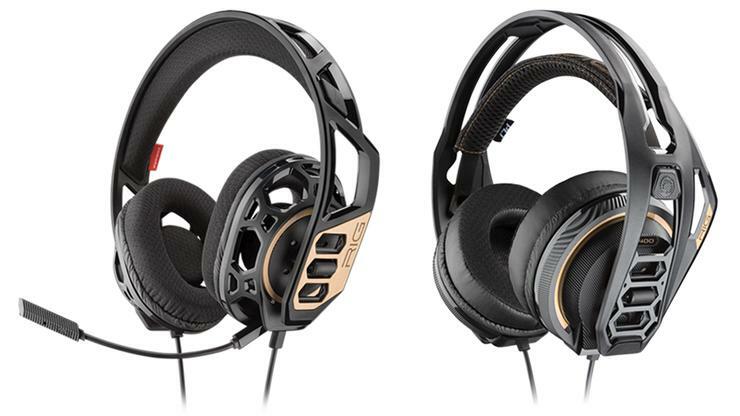 Plantronics say the new RIG 300 has been specifically designed with new gamers and their parents in mind. It's available in Xbox One (HX), PlayStation (HS), Universal (HC) and PC editions and features a modular, durable design with open earcups. The headset also boasts new SoundGuard acoustic safety technology that promises to protect gamers’ hearing against unexpected audio spikes and maximum DB levels. "The new RIG 300 headset incorporates an open ear design and patented SoundGuard technology. Together it can instantaneously protect against unexpected noise spikes and maximum decibel levels which can be harmful to the ears." said Peter Petrides, director of gaming APAC, Plantronics. "Plantronics is an active participant in acoustic health initiatives and it is great to introduce this technology to our new gaming headset, to protect the hearing of our next generation of gamers." Then, the RIG 400 PRO HC enhances the previous RIG 400 experience via dual-material ear cushions, dynamic 40 mm drivers with low frequency resonators and the inclusion of Plantronics' new patent-pending RIG Game Audio Dial for fingertip volume control. The RIG 300 Series will be available mid-September 2018 from EB games, JB Hi-Fi, Harvey Norman for $59.95 AUD. Meanwhile, the RIG 400 PRO HC will be available 31 August 2018, from JB Hi-Fi and EB Games for $99.95 AUD.